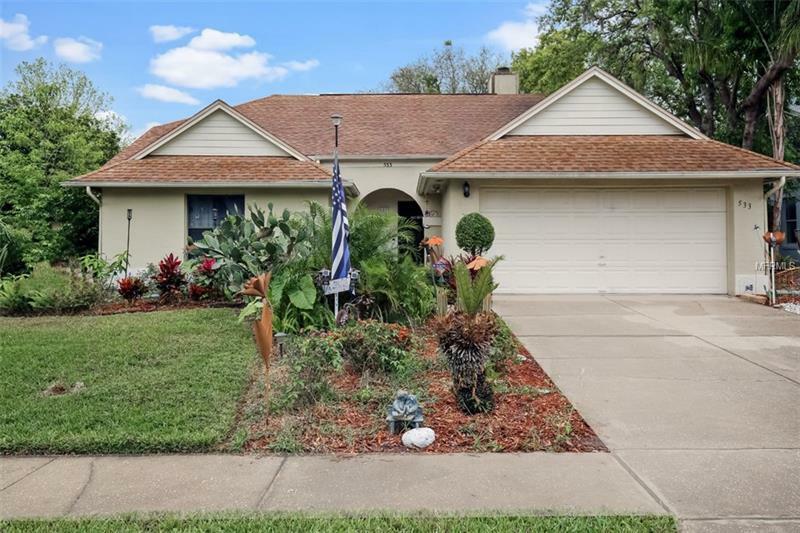 PRIDE OF OWNERSHIP exudes from this magnificent FOUR bedroom POOL home in the HEART OF LAKE MARY!! Step inside to soaring ceilings flooded with natural light and beautiful laminate flooring gracefully flowing throughout the family room. The formal dining room opens into the kitchen with beautiful cabinetry and durable counter tops. ALL KITCHEN APPLIANCES INCLUDED!! The generous size bedrooms are equipped with ceiling fans and WALK-IN CLOSETS!! The FOURTH BEDROOM is directly off the master en suite, making for an ideal OFFICE or NURSERY! The master retreat is HUGE with an ample size walk in closet. The en suite is fit for royalty, featuring a soaking tub, separate shower and endless amounts of counter space! COME SEE THIS MAJESTIC HOME BEFORE IT IS TOO LATE!! Outside is the ultimate Florida paradise, a FULLY FENCED backyard along with a GIGANTIC PAVED PORCH spanning the entire length of the home! The OVERSIZE POOL is lined with pavers and tucked around lush mature landscaping. ZONED FOR LAKE MARY SCHOOLS! Ideally located near all major roads with close proximity to shopping and dining at Heathrow's Colonial Town Park and the Seminole Town Center mall! Walk to the YMCA, library and reflections park! SCHEDULE YOUR PRIVATE SHOWING TODAY BEFORE IT IS TOO LATE! Pet Restrictions: PLEASE CONFIRM ANY PET RESTRICTIONS WITH THE HOA.